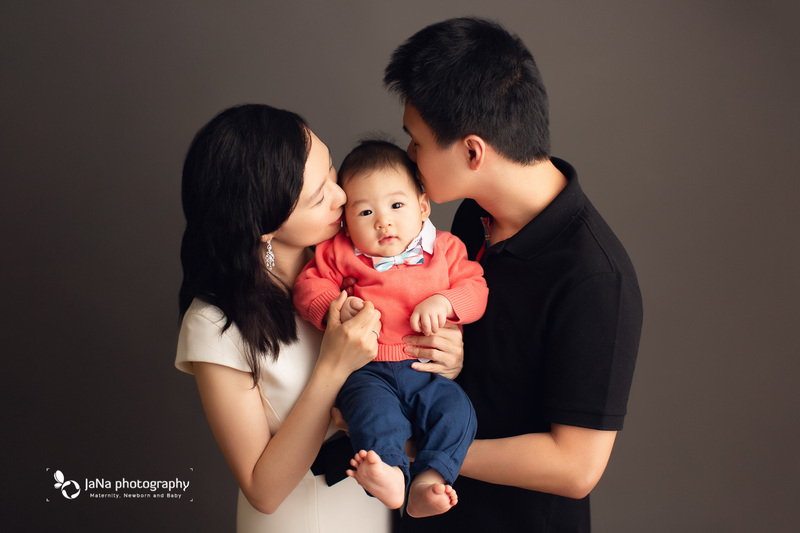 Jana Photography studio had the pleasure to work with this lovely family from United State. 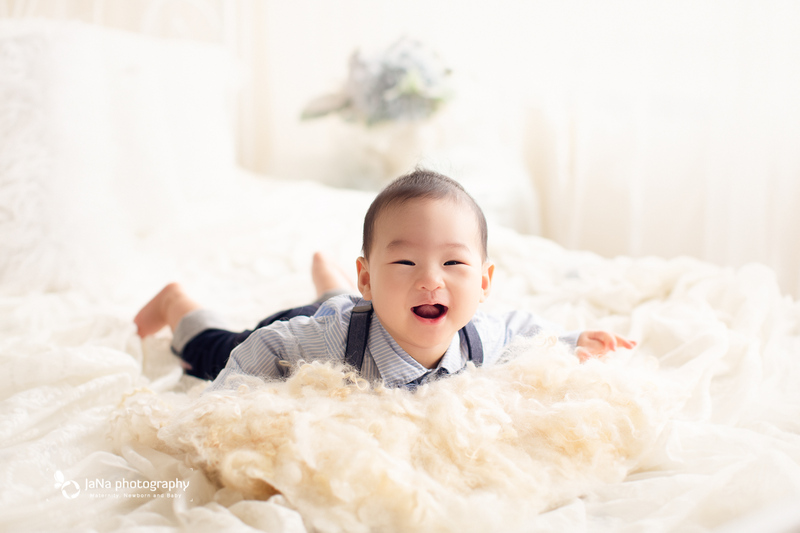 One of the best time to book a photo session for babies after the newborn stage is 6 months old; considering that babies at this age are able to hold their heads up and, in some cases, sit by themselves. 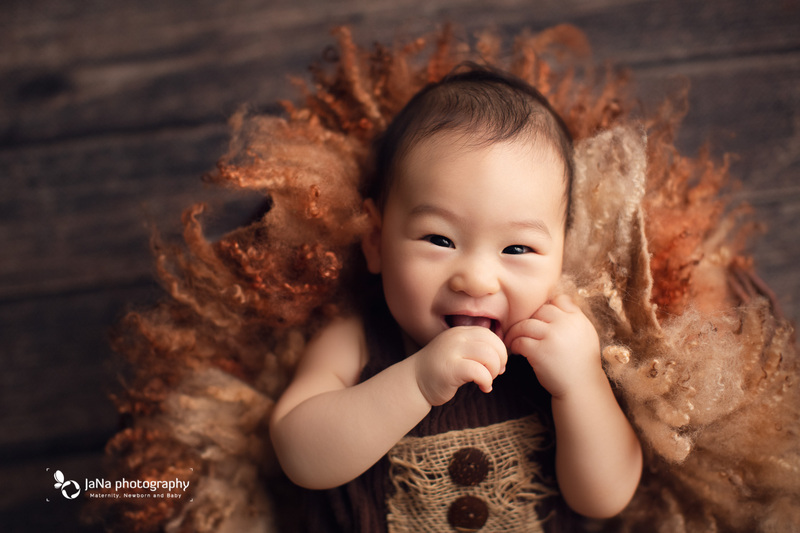 This little boy was a happy baby during his photo shooting session. Baby Jay could not sit by himself, therefore we captured a lot of tummy pose and a couple of shots with him in the bucket. One of the most popular poses that we try to capture for 6 months old is where they lay on their back and hold their toes with their hand. 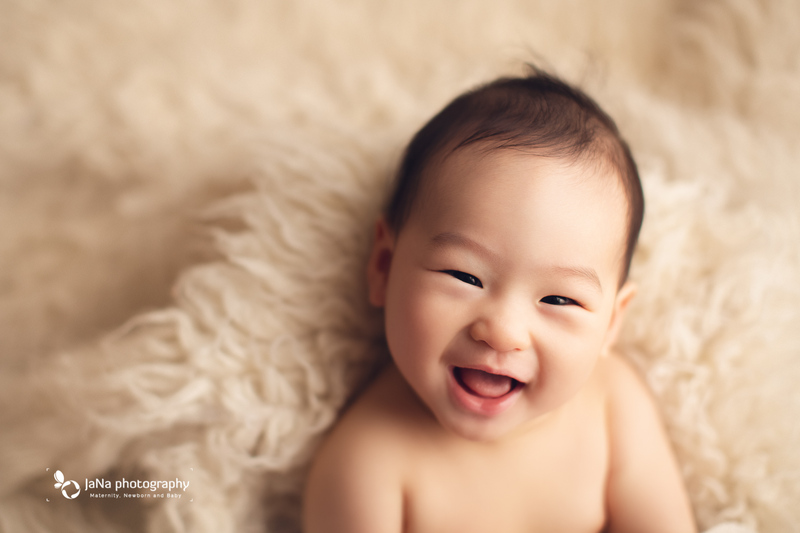 Baby Jay nailed this pose and we captured his smile at the same time. 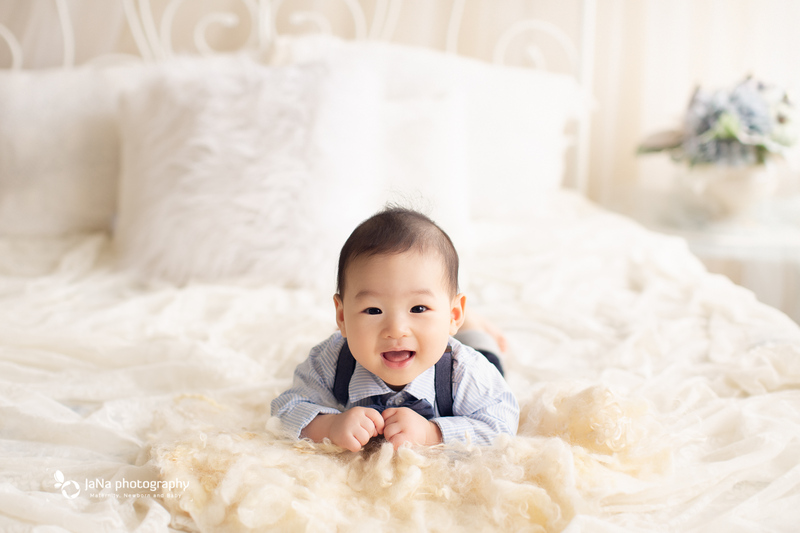 At Jana photography, we have both natural light room and studio lighting room. Our natural light room is perfect for the babies to naturally play and we do our best to capture every moment while they are playing. 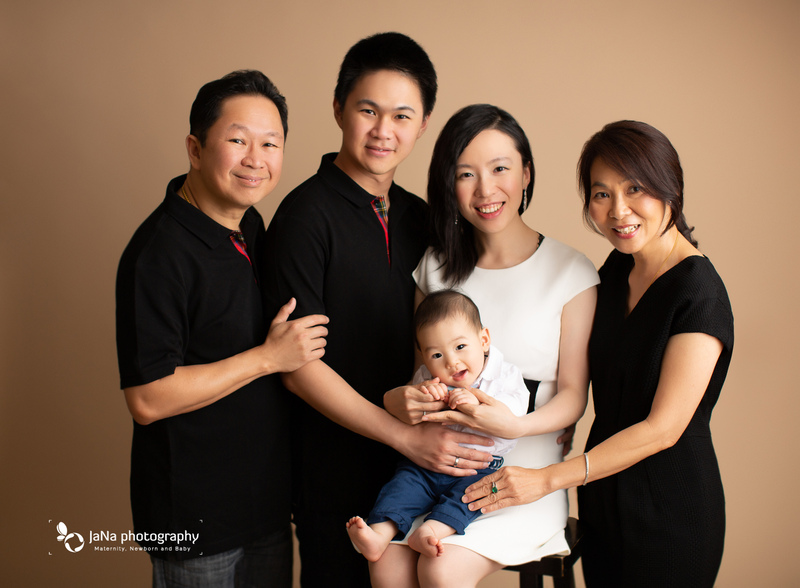 The studio lighting is perfect for classic family shots, which the result is always elegant. We have a big collection of probs which our clients are more than welcome to choose from. For this specific photo session, we encourage parents to bring their favorite outfit as well, and we try to have a variety of photos. 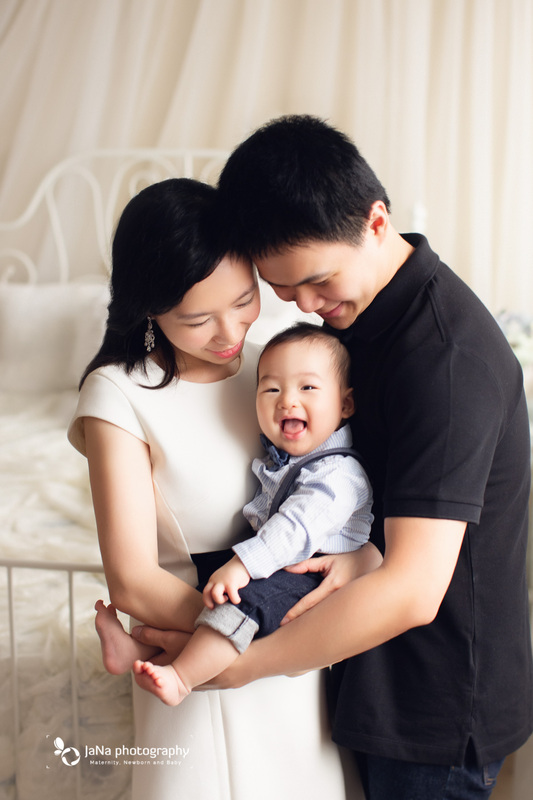 Parents always ask when is the best time is to book our photo session for our baby? 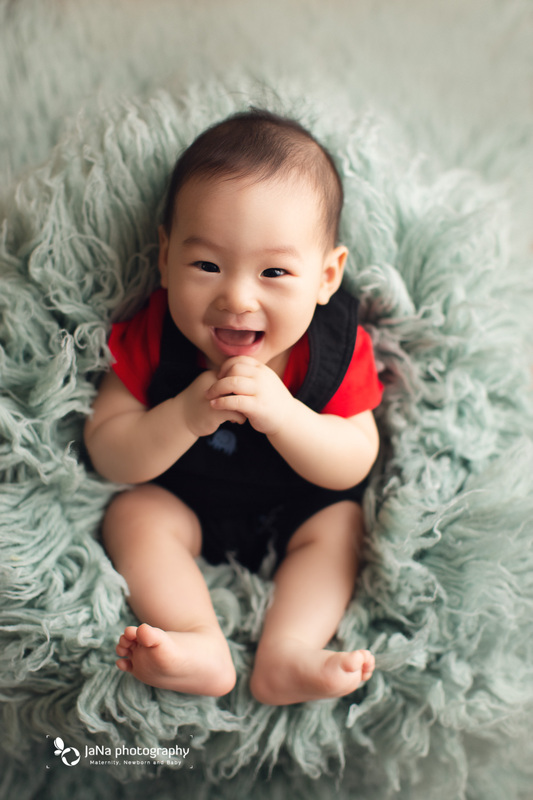 And We suggest after the newborn stage, 6 months old is a golden time to capture baby’s character and traits. We can not wait to see baby Jay back for his next milestone which is the cake smash. 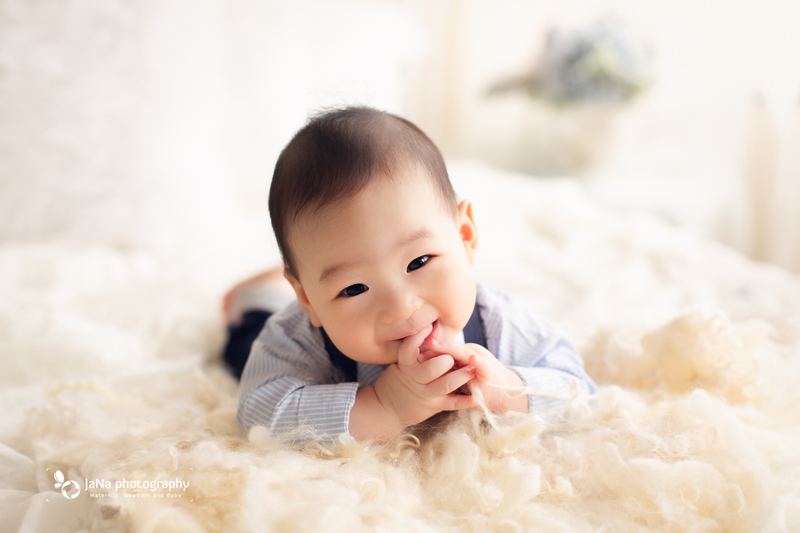 After one-year-old Jana Photography also offers baby photography outdoor which is suitable when babies are happier outside and playing.